One of the more dismaying aspects of the current peace process has been the failure of Syria and Israel to make a deal. According to Christian Science Monitor correspondent Helena Cobban, these two long-standing foes came very close to composing their decades-old quarrel. The Syrian and Israeli leaders persevered to overcome extraordinary obstacles, but in the end failed. 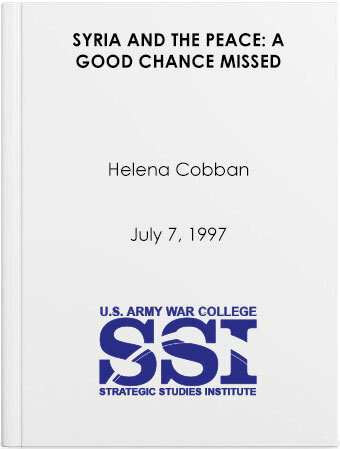 A terrible setback, says Cobban, because so much hard negotiating work had been done up to the very last moment when the whole carefully constructed edifice of peace drifted away.